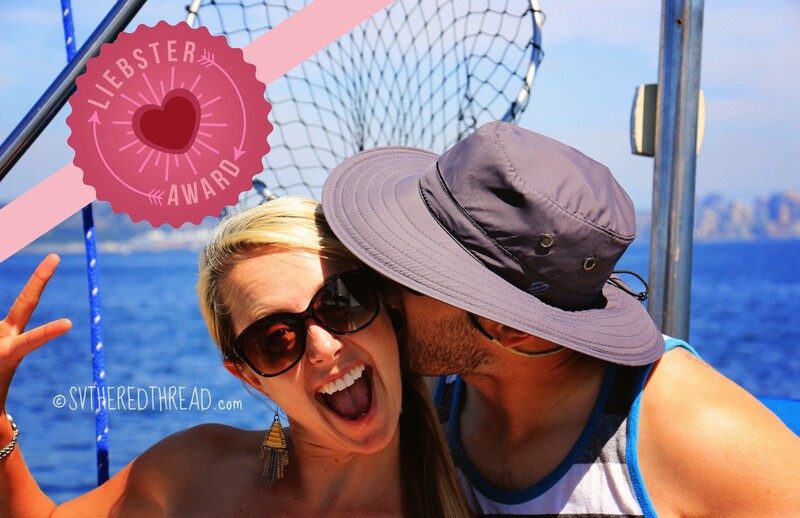 We are still new kids on the block when it comes to blogging, so imagine our excitement when we discovered that we had been nominated for the Liebster Award! The Liebster Award is an honor bestowed from blogger-to-blogger, recognizing a fellow writer’s work. It works like a chain letter (remember those…?). We were nominated by two writers whose blogs we are crazy about! Ellen of The Cynical Sailor and His Salty Sidekick is hands down the most hysterical writer we follow. From her night passage cookie gorging to her polar bear defense system, she is a hoot! After trialing the cruising life for a season in New Zealand aboard s/v Rainbow’s End, she and her husband are back in the US on the hunt for a new boat. Melissa and Mike of Little Cunning Plan are an awesome read for their creative ideas and practical reflections on maintenance. They are preparing to set out cruising on their boat s/v Galapagos in the next couple of years. Each posed 10 questions of us. Rather than responding to all of them and writing a really long post, we plucked out a few from each and have responded below, in some cases separately and in others jointly. Thank you for nominating us! It is wonderful to know that our readership is growing and that there are at least a couple of people out there, in addition to our moms, who enjoy our ramblings. 1. Introduce us to your crew. Who are they and what role do they play in your operation? We are Neil and Jessie, the Captain and Skipper of The Red Thread (yes, we know those things technically mean the same thing – Neil is definitely the Captain), a couple of dreamers with restless feet and wanderlust. We share all of the responsibilities of operating our boat, but there are some natural divisions that have emerged. For instance, mechanical and electrical maintenance generally falls on Neil’s shoulders, while all things related to planning, organization, and documenting of our journey are lead by Jessie. We’re a team, so there’s a lot of overlap, and we do our best to back each other up on the many tasks that must be completed to keep The Red Thread healthy and strong. 2. What is your secret fear about living/cruising on a sailboat? Neil: My secret fear is that I will feel restlessness and dissatisfaction. We’ve put everything we have—money, blood, sweat, and tears—into making this dream a reality. What if we get out there and I realize that what I long for is the roar of an L-twin Ducati engine, a full take of gas, and a winding mountain road in fall? There’s nothing that scares me more…not storms, or things breaking, or even the pressure cooker of two strong-headed independent newlyweds driving each other crazy. Jessie: My secret fear is that Neil and I will not always love the lifestyle to the same degree. More specifically, I worry that one of us will tire of it and want to return to life on land while the other still craves the cozy, creaky quarters of home in a hull. I have no doubt about our ability to weather that hurdle, should we one day have to overcome it…but I sure hope that we remain on the same page and don’t have to face that obstacle! 3. What things do other boaters do that irritates you? Neil: Besides power boaters feeling the need, the need for speed, and “buzzing the tower” (aka The Red Thread) Top Gun style when there’s a whole ocean around us, the thing that bothers me most is the assumptions other boaters sometimes make (more on this in question #8). We’ve scraped and saved and make huge sacrifices to get The Red Thread and to keep her sailing. The assumption that we’re too young and too inexperienced and that we don’t deserve the life we’ve made really gets under my skin. Jessie: It bothers me when boaters don’t wave back. I get a silly amount of gratification by waving at other boats and getting a wave in return. I suppose it symbolizes the warmth and well wishes I love about being a part of a small community on a large body of water. So, if you see us, for crying out loud, please wave back! 4. Which sailboat reference book would you recommend someone absolutely have on board? Which sailing adventure book? Reference book: Jimmy Cornell’s World Cruising Routes, affectionately known aboard our home sweet boat as the Blue Water Bible. Adventure book: The Greatest Sailing Stories Ever Told by Christopher Caswell (Neil) and anything by Liza Copeland (Jessie). 5. What is the most important piece of gear you carry on your person or keep handy in your cockpit? Neil: Sunscreen. Melanoma is real, people! I am very guilty of not using this very important piece of gear often enough, though I’m going to try harder. Jessie: Can I mention two things? The winch handle and the lime green, community water cup (no germaphobs here! )—gotta keep the sails trimmed and dehydration is no bueno! 6. How slow will you go before you turn on your engine? Neil: Currently, it depends on what we’re doing. If it is a bum around the bay kind of day then we’ll bob around with no forward motion. Once we’re out sailing the big blue, I imagine that unless we’re avoiding a storm we’ll be happy to see “0.0 SOG” because it will allow us to do maintenance projects, take a long nap, or otherwise have a break. Jessie: I have a feeling we’ll soon speak about this in BC (before cruising) and AD (after departure) terms, meaning that we’ll be willing to go much slower when our alarm is set by the sun and we are at sea…and when we no longer have incoming income to afford fuel (i.e., in 2 weeks…gulp!). I’m also not a fan of anchoring in the dark, so I’m willing to motor to avoid that eerie experience. 7. What sort of boat do you have and would you recommend it for other adventurers hoping to live aboard? What do you like the least about your choice? We own a Catalina-Morgan 440, hull number 33, and we absolutely love this vessel! The greatest liveaboard feature is the large pilot house windows. We are a bit “solar-powered” ourselves, and the ability to look out while down below and underway or to get more light while at anchor is a huge benefit to us. We would absolutely recommend our boat to someone seeking a cruising vessel. Honestly, the thing Neil likes least is that we don’t have a spinnaker, which has more to do with our budget than the boat itself. There is something magical about sailing under spinnaker, something that Jessie has yet to experience. Jessie wishes we had a cabin with bunk beds, for the boat babies we hope to add to our crew roster in a few years. 8. 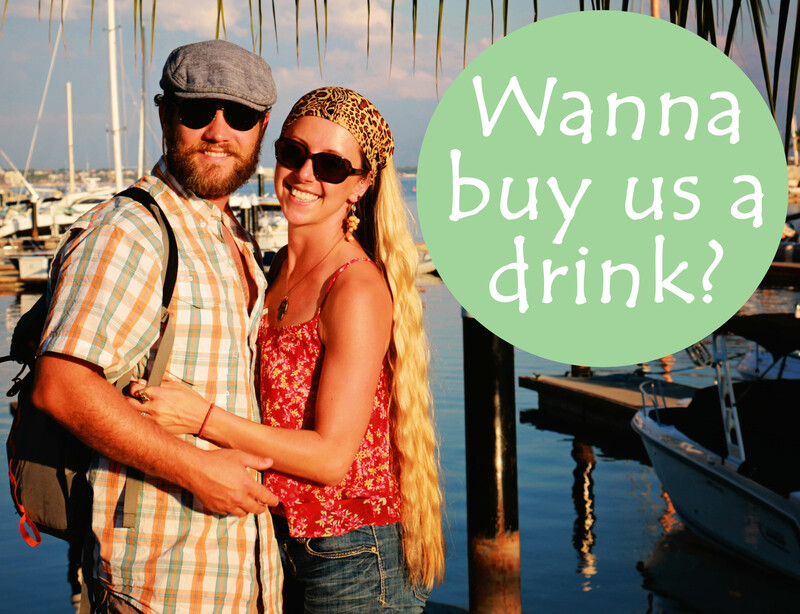 How do you support your lifestyle while sailing and cruising? Being in our early 30s, we get this question quite regularly, generally from well-meaning, curious souls who have cruising dreams themselves or simply find the prospect of boat-living intriguing. On the other hand, sometimes people ask us about our financial status with snide presumptuousness. After docking our boat on the first day of our maiden voyage, a man proclaimed, “Oh what it would be to be young and rich.” Another time, a passerby remarked with disdain, “Looks like daddy’s money.” Well, neither are true, though both sound sexier than the reality. The truth is, Neil and I lived previously in a studio apartment, we opted to purchase a boat instead of a home, and we stash the majority of our income into our cruising kitty. We’ve been living aboard for almost 16 months and plan to set out for a year of cruising in just two weeks! 9. Name the most challenging experience you have had while living aboard and what did you do to overcome it? There was a period of about five months last winter when the days were short, the nights were long, and everything felt damp and dreary. We were also doing a number of repairs that prevented us from sailing during that time. We both caught a case of cabin fever and felt pretty frustrated and trapped in the marina. We worked together to complete tasks and kept pressing forward. We also motored to a nearby island and dropped the hook for a couple of nights to give ourselves some semblance of cruising normalcy. That helped to recalibrate us emotionally, to renew our faith that summer would eventually return, and to recharge our motivation. 10. 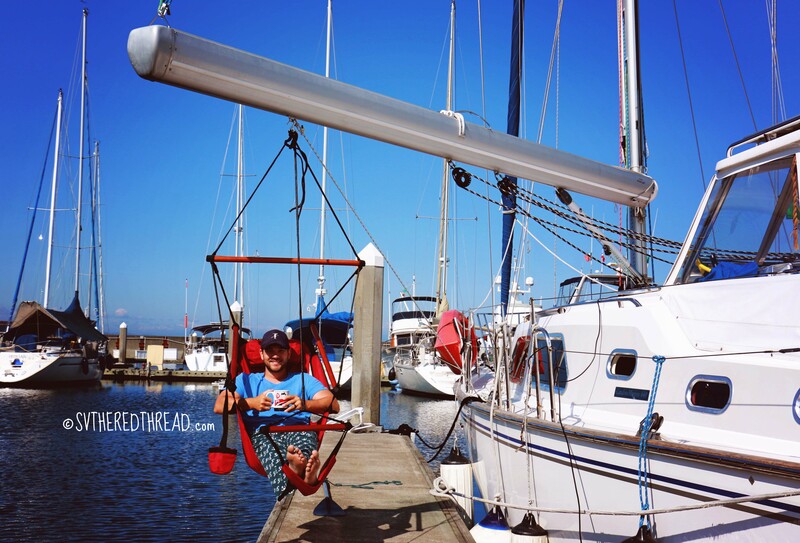 What’s the best experience you’ve had while living aboard? Neil: My favorite experience was waking up last summer to 14 seals sleeping on the empty docks that surrounded our boat…and watching a pair of sea otters play together this summer. Jessie: For me, the best experience has been getting to know our neighbors on the dock. Although few people liveaboard in our marina, our dock is a hubbub of activity year-round. Meeting for sundowners, cracking crab on the dock, playing with our neighbors’ pooches, and sharing stories has made me realize that I am a part of a very special community. Given that I didn’t experience sailing until meeting Neil, having so much contact with other boaters has enabled me to learn things about sailing that I otherwise may not have, and it has shown me the comradery that exists within the sailing community. 11. Is living aboard and sailing an alternative way of life for you, an escape from the system, or is it just a temporary adventure? Neil: It is definitely a way of life for us. Jessie and I commonly talk about making this a permanent lifestyle. At the very least, we’re looking at 6-10 years of living aboard. Jessie: It is my hope that cruising will become a long-term way of life for us. I’ve never adored my neighborhood (or my neighbors) the way that I do right now, and I feel more connected to my surroundings than I did living in the city. There is something reminiscent of farm-living—I was raised on a ranch—that I experience when being so close to nature. Since moving aboard the boat, I find my thumb becoming greener, and I am embracing more diligently principles of conservation that were important during my rural upbringing. Only time will tell whether boat-living will be a lifelong experience, but as of this moment, I sincerely hope we don’t become CLODs (cruisers living on dirt) at any point in the future. 12. What advice would you give to those that may be interested in following in your footsteps and living aboard and/or cruising? Neil: Don’t let mental or artificial barriers get in the way. Just do it. You will never, ever, regret making the decision to live board. The simplicity of the lifestyle, the closeness with nature, and the tight quarters bring Jessie and I closer. Jessie: I imagine that people consider living aboard for a multitude of reasons. For instance, a less expensive option for owning a home relative to costs of a land-based house, a stepping stone in preparation for cruising, a craving to be closer to the water, etc. Whatever you do, I encourage you to let your heart and head dance as you make your decision. Be practical but only to the extent that it serves your dreams and aspirations. A life on land will always be waiting for you—a boat life will require more effort (especially initially), will elicit more questions from your bewildered friends and family, and will open opportunities for connection to others and personal growth that are difficult to describe (all that and we have not even begun to cruise full time yet…). 13. What do you like and dislike most about being a blogger? Jessie: Since I do most of the writing, I’ll tackle this one. I like that my creative voice, which has been stifled a bit by academic writing over the past few years, has been resurrected. I had forgotten how much I enjoy allowing my thoughts to wander and trying to wrestle with words to convey my emotional and physical experiences. I dislike the twinge of nervousness I feel immediately after posting a blog entry, as I wonder what type of reactions I might receive about my writing. Then I remember that the lashings of academia have conditioned me to survive criticism, and I get excited about the new perspectives I might be exposed to as a result of my writing and to the new relationships that might be sparked by related dialogue. With Brio: Leah and Jonathan are accomplished sailors who have been dodged the last three winters by heading south on their sailboat, Brio. They are still in their 20s, and we admire them for their sailing skills and tenacious ability to juggle the working world and their cruising aspirations. s/v Cambria: Stephanie and David are committed cruisers who have explored New Zealand and more of the Pacific Northwest than most could ever hope. 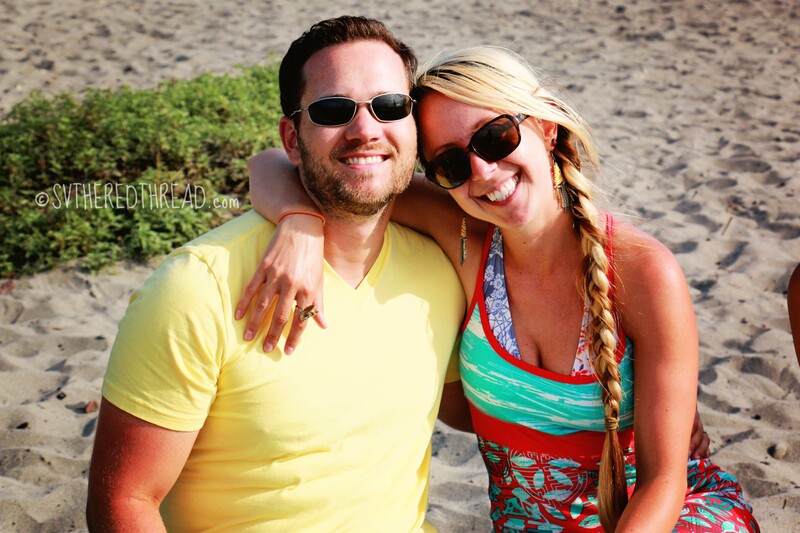 We met them on the west coast of Vancouver Island, BC in 2013, and we have continued to like them more and more as we’ve explored their blog. Trampling Out the Vintage: Wilson is a writer, a farmer, a family man, and our friend. He also happens to be the person who officiated our wedding ceremony! We love him and want to introduce our readers to his beautiful writing. 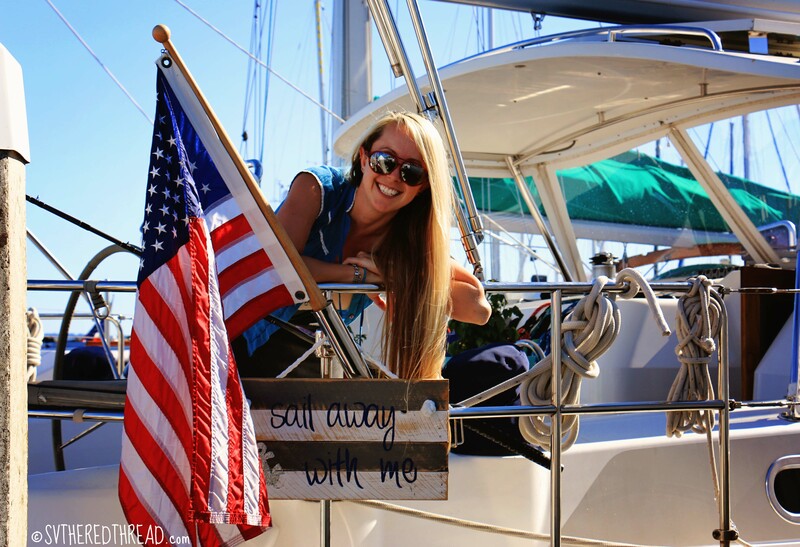 Dinghy Dreams: Emily is a fiery dreamer with an adventurous soul. We can’t wait to learn more about her! Who are you and what inspires you to do what you “do” (take that as you please)? We are all seeking something in this journey – what are you after? The sky is the limit; where would you like to go next? What hidden talent or skill do you have? Share your favorite *simple* recipe (okay, that is actually a request…). What is your favorite post you’ve written (please link to it!)? Describe yourself in 3 words, no more and no less (oops, again, a request). 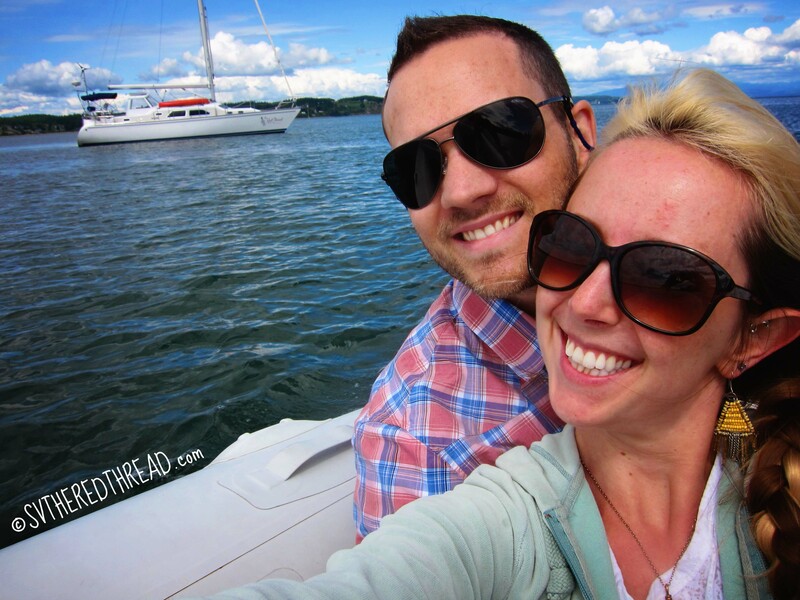 This entry was posted in Boat Life, By Jessie, By Neil and tagged Liebster Award, Liveaboard life, Seattle WA. Bookmark the permalink. Great answers! Especially your answers to the “secret fear” question – that really resonated with me. Best of luck in the final countdown – so exciting! Love reading tout blot. Looking forward to hearing about your journey. Okay, is it too late for me to accept my liebster nomination now that my blog actually exists?? !